Broderie Bardot is rated 5.0 out of 5 by 9. 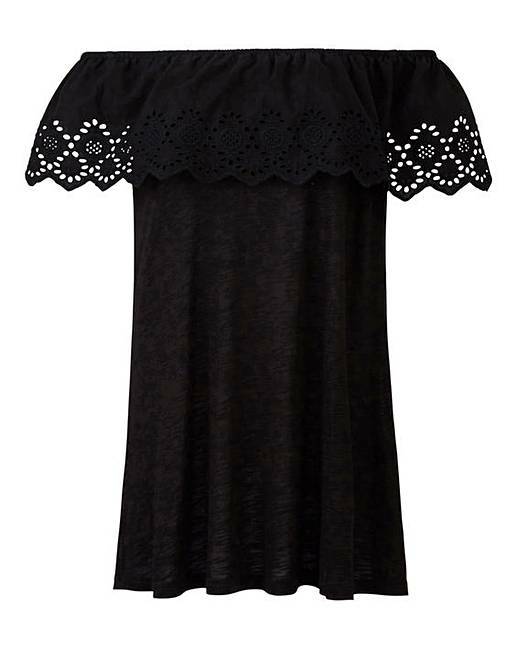 A gorgeous bardot top with broderie detailing. Can be dressed up or down for effortless day and night looks. Wear with jeans and sliders for a casual summer look. Rated 5 out of 5 by Laus6901 from Comfort and style Brought it last summer and it was one of my favourite items. Rated 5 out of 5 by Lisa Cooper from Smart gypsy top Lovely top! 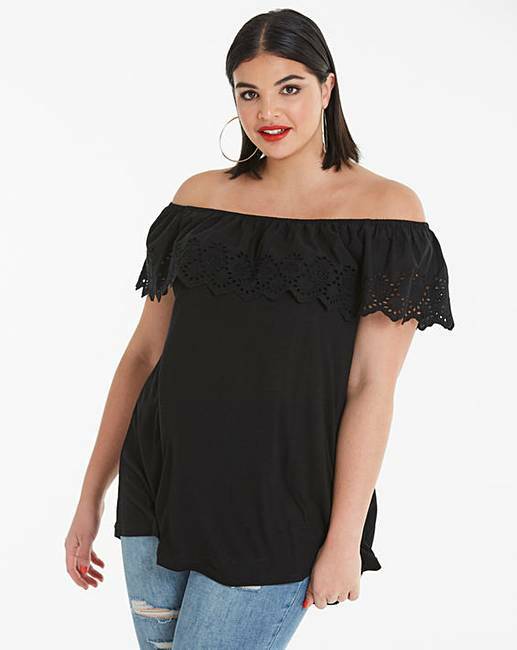 Will be wearing it this summer, just long enough to cover my lumps and bumps! Rated 5 out of 5 by Joejoe from Great top I wanted just a plain black top to wear with my jeans. 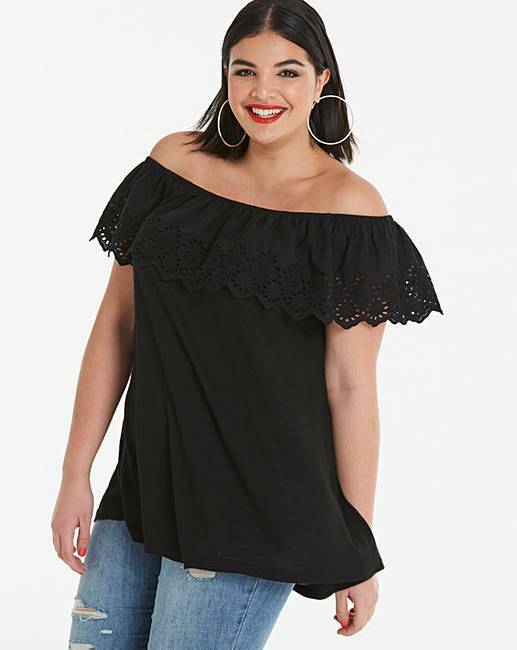 Very simple with a frill at the top. Not clingy at all and once pulled from my shoulders to my arms it stayed there rather than have to keep pulling it down. 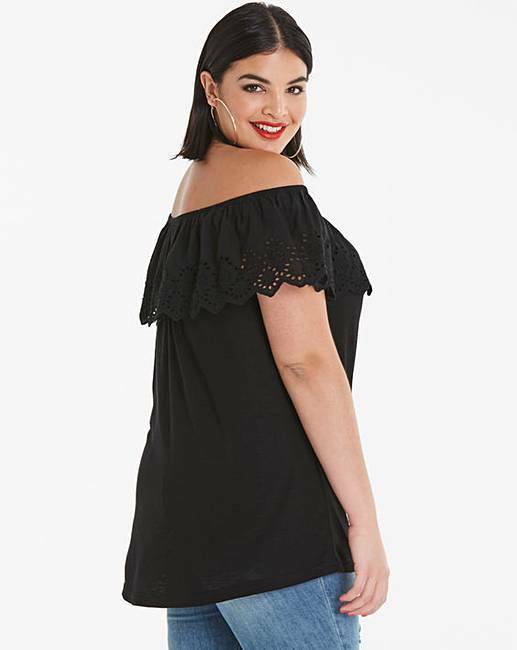 Rated 5 out of 5 by Biggirlsdontcry2005 from Lovely top Love this top!! 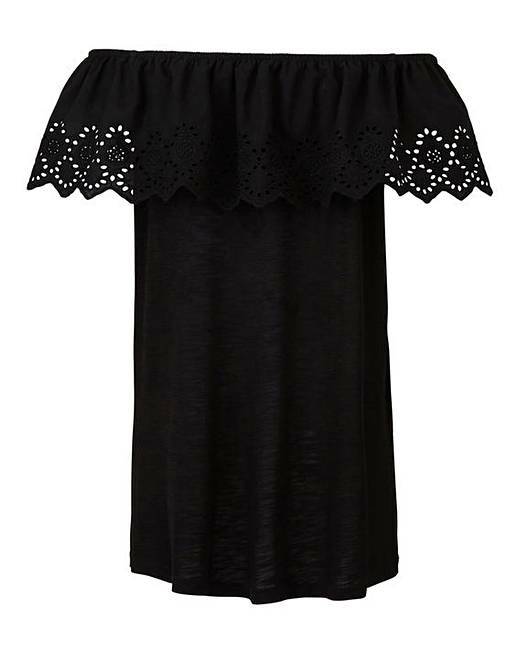 Got it for my holiday next week but have ended up wearing it already because I liked it so much I even tried to order it in white also but it’s not in stock.